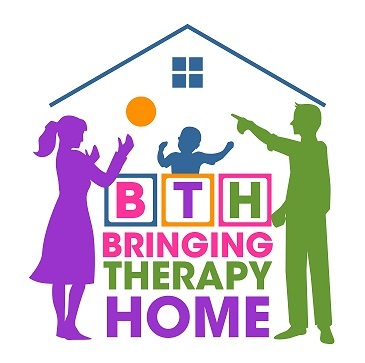 Bringing Therapy Home offers fun, age-appropriate, interactive groups utilizing research-based curriculum for our elementary aged population. Groups are designed for children ages 5 through 8 years old – this includes all children –typically developing children and children with needs (speech, language, fine motor, gross motor, or cognitive delays). We offer two elementary groups on Thursday evenings. Each class is 60 minutes. Groups begin Thursday, June 1, 2017 and occur every Thursday through August 10, 2017. Each class size is limited to 12 children. You have the option of enrolling in an 8 week summer group or having your child attend the 11 week summer group. If your child attends an 8 week summer group, the group will begin on June 1, 2017 and end on July 20, 2017. If your child attends the 11 week summer group, the group will begin on June 1, 2017 and end on August 10, 2017. You can register your child for the 4:30-5:30 group, the 5:45-6:45 group, or both groups from 4:30-6:45. ​The total cost for each 8 week group session is $180 ($360 for both group sessions). ​The total cost for each 11 week session is $247.50 ($495 for both group sessions). occupational therapist, and Patti Cosentino, an early childhood special education teacher. To enroll your child in a group, please complete the registration form, located at the bottom of the page. Once the registration form has been submitted, you will receive a confirmation email. A $50.00 non-refundable deposit is required with your registration (the amount will be applied toward the class fee; however, if you cancel your child's registration, the deposit is forfeited). Each child's rate is $180 for one 8 week group session and/or $360 for both 8 week group sessions. Each child's rate is $247.50 ($495 for both group sessions) for the 11 week session. Missed class sessions are not reimbursed. Once classes begin, refunds are not issued. In "Watch Me," children will explore concepts from Social Thinking by thinking thoughts about others, understanding the thoughts and feelings others are having, developing a group plan, keeping our brain and body in the group, and sharing our feelings with others - all through music and dance moves. Each week, the kids will have a variety of "Kid's Bop" songs to play with their friends. Before we play the song, one child will have the opportunity to come up to the front of the group and develop a dance. The "group plan" will be for the other kids to watch, observe, and imitate the dance moves. Each week, every child will have an opportunity to develop a dance move and pick the song they want (based on popular songs on the radio). They will given visuals if they have difficulty generating a "dance" on their own. This will give each child to be creative, watch others, have others watch them, and be a part of a group in a fun, engaging way. For each dance, we will discuss the following: What is the group plan, Who are we watching? Where is our body? What feelings did you have dancing? What was your friend thinking? Does your child initiate verbal interactions with other children? Does your child respond if someone is talking to them? Does your child tend to talk without needing others to respond? Does your child make comments? Does your child ask follow-up questions? Does your child appear interested when others are talking? In "Let's Talk" the children will develop conversational skills. Each week, we will begin with music and movement, have a large group activity focused on the "skill" by using "question cards" and then move into small group activities where we focus on demonstrating the skills. The kids will have the opportunity to explore the language and literacy room, the fine motor and constructive play room, the sensory room, and the gross motor room. Each room will have activities and the focus will be on the children engaging in reciprocal interactions with each other. Skills such as looking toward the person talking, staying with the person while they are talking, making comments, asking questions and asking follow-up questions will be targeted.